The scientific mission is led by a team of geneticists, plant curators, horticulturalists, and plant pathologists working in the U.S. Department of Agriculture’s Agricultural Research Service. These scientists conduct basic and developmental research to preserve the genetic diversity of landscape plants, and develop new cultivars and technologies for the florist and nursery industries. Various overlooks from high points in the Arboretum provide panoramic views of the city. Opportunities for educational enrichment include maintenance of the Arboretum’s grounds, as well as tours, exhibits, symposia, and classes. Examples are tours through the azalea collection, lectures on lawn care, the popular full moon hike, and the annual Lahr Symposium on native plants, now in its thirty-first year. The grounds of the Arboretum are spread over 446 acres in Washington, DC, and are organized into a variety of collections and gardens. These are connected by 9.5 miles of roadways and paths. These collections comprise thirteen acres of sloping landscapes, featuring plants native to China, Japan, and Korea, including camellias, witch hazels, apricots, and pines. This popular attraction draws crowds from mid-April to early-May to view thousands of colorful shrubs and to explore the woodland trails. Boxwoods of 150 species and cultivars border one of the roadways. The Perennial Collections of daffodils, peonies, and daylilies are interspersed among the boxwoods. The Conifer Collection occupies five acres on a hillside, and shows off dwarf and slow-growing conifers, as well as crapemyrtle trees bred at the Arboretum. A destination between April and early-June, the Dogwood Collection includes the native Cornus florida and other members of the Cornaceae family in a peaceful setting overlooking the Anacostia River. 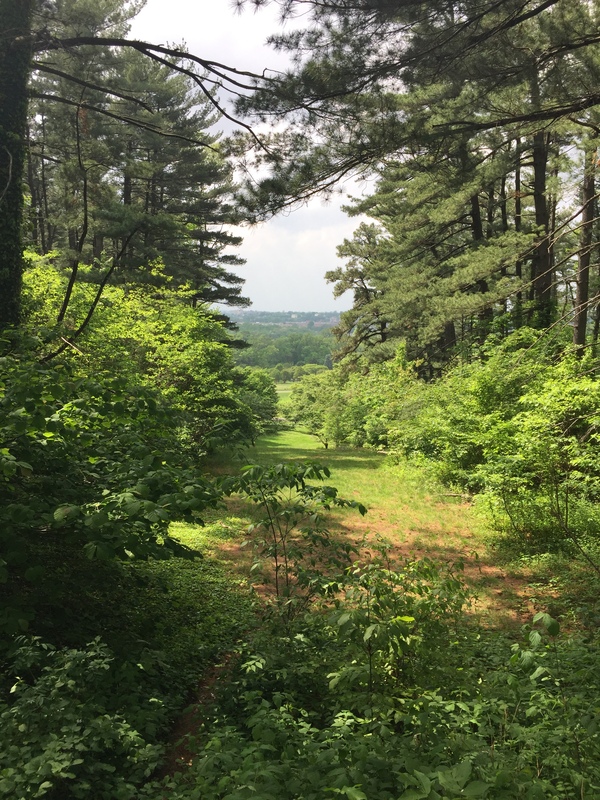 This extensive collection features a wide variety of ferns, grasses, wildflowers, shrubs, and trees that have grown in the Mid-Atlantic region since European colonization. They are planted in naturalistic settings to reflect the geography of meadows, the Piedmont, and the coastal plain. The plants in this collection hold our interest through the seasons, from the blooming magnolias native to the southern U.S. in early spring to the brilliant holly berries in winter. A variety of aquatic plants are normally on display in the pools surrounding the administration building. These have been removed temporarily while the pools are being renovated. This garden, which surrounds the Arbor House gift shop, was designed by landscape architects Oehme and van Sweden to demonstrate low-maintenance sustainable landscaping techniques. The largest designed herb garden in the United States is comprised of multiple themed gardens, a knot garden, and a rose arbor. The plantings include eight hundred species of annuals, perennials, and woody specimens grown for culinary, fragrance, medicinal, and other uses. This organic vegetable garden offers hands-on horticultural experience to urban youngsters in grades three to five, applicable to special classroom lessons and activities. The museum includes three pavilions and meditative gardens. Read more about the collections and planned activities for National Bonsai Day. Standing in a spacious open meadow and accessible from the Flowering Tree Walk, the twenty-two sandstone Corinthian columns, quarried near Aquia Creek in Virginia, were originally installed on the east portico of the U.S. Capitol. State trees of most of the fifty states and the District of Columbia grace thirty acres of the Arboretum. Each tree was acquired from the state it represents. The trees of Alaska, Arizona, Florida, Hawaii, and South Carolina cannot be grown successfully at this site, and suitable substitutes were chosen. Arboretum staff suggest visitors allow half an hour to tour each section of the grounds and special seasonal plant features. 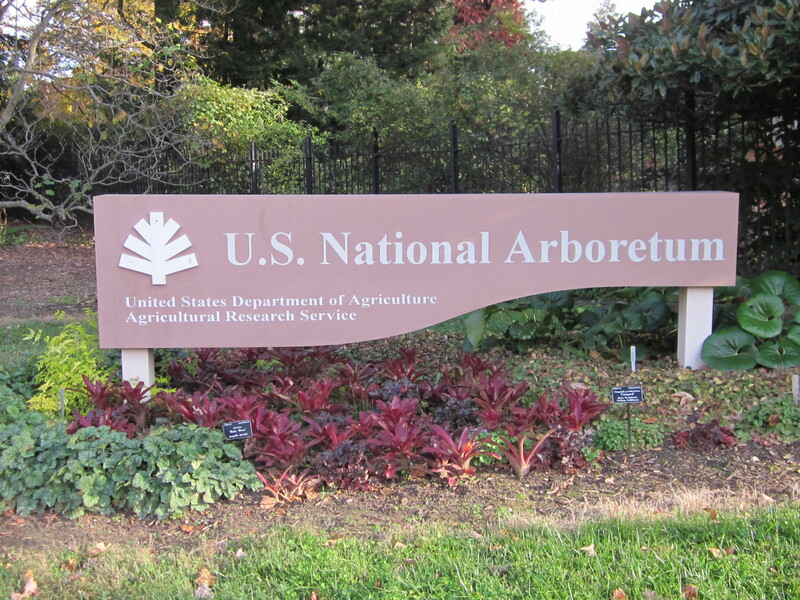 Visitors can count on spending many enjoyable hours at the National Arboretum throughout the year. The Arboretum is open every day except Christmas from 8 a.m. to 5:00 p.m. Admission is free. After 2 p.m. on weekdays, the R Street entrance is closed, so please enter through the New York Aveunue entrance. This entry was posted in Regional Gardens and tagged National Arboretum. Bookmark the permalink.